Who can save this Johnson & Jago 2 1/2 tonner now lying at Maldon? Marinestore at Maldon sent an email to me (and probably many others) appealing for someone to take on this 1936 Johnson & Jago-built 2 1/2 tonner. Dzorbha has been abandoned by her owner. Her planking and ribs are pitch pine on oak in good condition. She has no sails and her mast is long past its sell by date. Overall, she will need a lot of work by a true enthusiast. 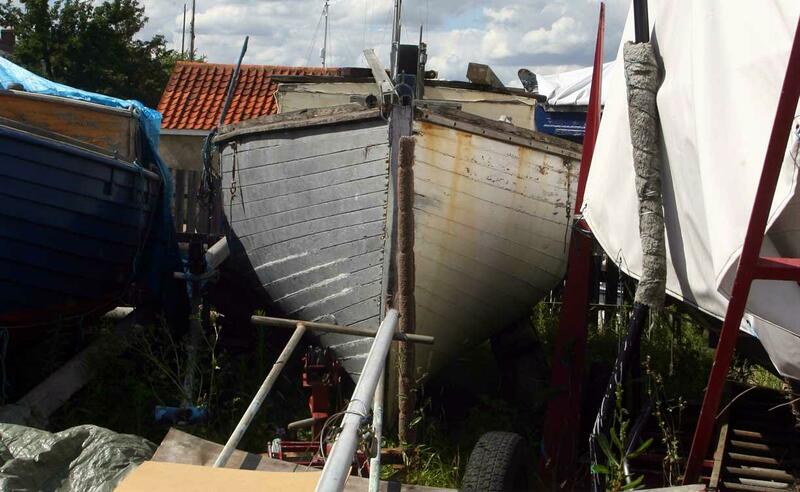 She can be viewed at Shipways Yard, North St, Maldon CM9 5HQ, in the back row against the fence. Marinestore says it will accept any reasonable offer (the owner she goes to is more important than what we get). There will be a lifting charge to load her on to transport if required and we will allow a week for the new owner to get things organised. Please email any queries that you may have to chandlery@marinestore.co.uk – all offers by email must be in by 12pm on the 31st July. I’ve emailed to ask for more photos and some history, but haven’t had a reply – but maybe you’ll be more lucky! 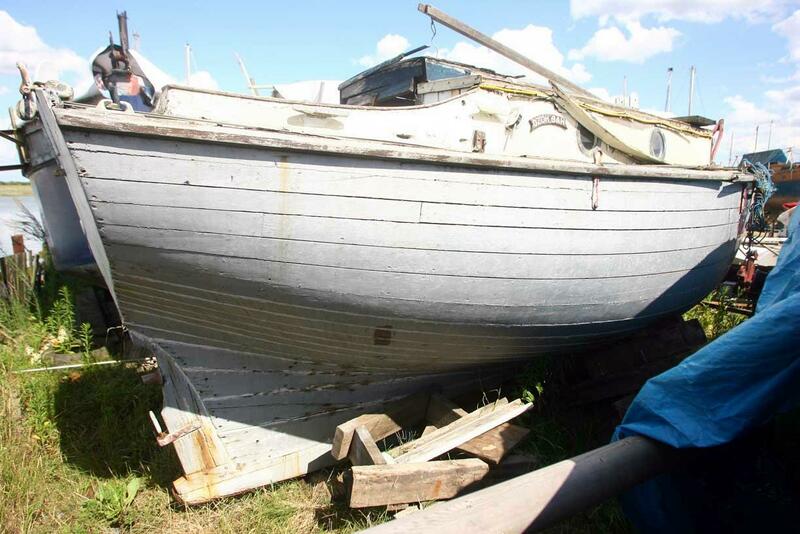 Sign up now for intheboatshed.net’s weekly email newsletter!